Irish public broadcaster RTÉ has today outlined proposals for a new free-to-air TV service for the Irish diaspora in Britain and further development plans for the Irish digital terrestrial TV service Saorview. The ambitious news was revealed in the Irish broadcaster's newly released five-year-plan, but any new service for Britain would be subject to the broadcaster receiving increased levels of funding in the coming years. RTÉ has seen its income drop by €105 million since 2008. RTÉ Ireland, the working title for the new free-to-air channel, would be available on digital satellite and cable channel line ups in England, Wales and Scotland. It would also be available globally via the RTÉ website. According to the broadcaster, the proposed channel would target the Irish diaspora and "and anyone who has an interest in Irish life, culture and media." 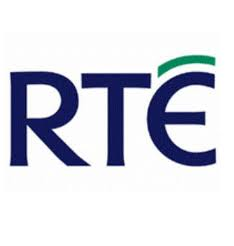 The channel would feature programmes shown on RTÉ One and Two and from the RTÉ archives. Some shows would be simulcast live from RTÉ One and Two. There are no plans for the service to appear on the satellite or cable EPG's of viewers in Northern Ireland, where domestic channels RTÉ One and Two are already widely distributed on Sky, digital terrestrial television and cable. Meanwhile, RTÉ has revealed that it would like to expand the Irish free-to-air digital terrestrial service Saorview to incorporate on-demand and internet delivered content, under the brand name "Saorview Anywhere". Digital terrestrial TV, IPTV streams and on-demand content would all be placed on one single interface. The move follows recent developments in the UK, which has seen the introduction of terrestrial/IPTV hybrid services such as YouView and internet channels from Connect TV. The plan states that Saorview Anywhere, which would require a new set top box and a broadband connection, would be "free to access (over and above broadband network access charges) and minimal investment will be required by consumers, as the stand-alone broadband service will be designed to be accessed on existing broadband devices." RTÉ also confirmed that it intends to boost live content on its fledgling news network RTÉ News Now, removing most of the repeated content and adding bespoke news bulletins for the channel, if additional funding became available. On digital radio, RTÉ confirmed further investment in its new digital services, but noted that it envisaged FM to be the primary method of delivery for radio in Ireland for the foreseeable future. If a digital radio switchover became government policy, RTÉ would commit to rolling out second generation DAB digital radio, DAB+, to 80% of the Irish population. Broadcast rights issues mean that won't happen anytime soon. Unlike the UK broadcasters, the smaller Irish public and commercial broadcasters don't have the financial clout to obtain broadcast rights covering the entire area covered by the UK (and Ireland) satellite spotbeam, so need to restrict access. Already some RTÉ content is blocked on their channels broadcast via UK platforms (NImux/Freeview and Sky). The proposed RTÉ channel looks set to be a channel showing what content they can show outside of the Island of Ireland. Saorsat remains the only way for viewers in Northern Ireland outside of the range of Saorview/NImux transmitters to watch the domestic RTÉ TV channels free-to-air. Looks like a lot of "if's" and "maybe's" to me. The Celtic Tiger is well and truly dead and unlikely to be resurrected for a long time to come (decades). Even the new proposed broadcasting tax will more than likley be subject to judicial review so I wouldn't hold my breath too long.